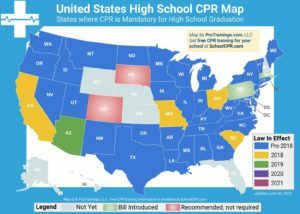 Already a mandatory program in seven states, there are now three more states that are in the process of making CPR a requirement for high school graduation. 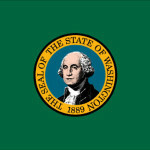 In Washington, House Bill 1556 is heading to the house floor after passing through House Education and Sub Appropriations on Education Committees. 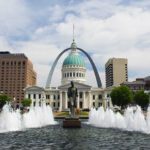 The bill they are currently trying to pass doesn’t require a certification, or a specific type of course. It will be up to the schools as to how they want to implement a CPR program. In some schools, teachers do the trainings. Sometimes they bring in firefighters or EMS. Other times they bring in non-profits, or other training groups. Should the bill pass, CPR implementation will begin in the fall of 2013, starting in September. Schools will likely be looking for a program to use this summer, so they can be ready to start the program when the school year begins. It could reach the house floor as early as next week, but it has until March 11 to get voted out. According to my research, it passed the House on February 21, 2013, and is headed next to the Senate. In Arizona, Senate Bill 1337 is similar, but would not start until the fall of 2015. This would give schools a couple of years to figure out where they are going to get their training. That bill allows for training by any group, but must be based on the most current training developed by a nationally recognized non-profit organization, that provides training in cardiopulmonary resuscitation (that is based on the most current national evidence-based emergency cardiovascular care guidelines for CPR). If a school district or charter offers instruction that results in CPR certification, the instruction must be provided by a certified CPR trainer. It just passed the Senate yesterday (Feb. 26, 2013), and is headed next to the House. Should it pass there, the next step is for it to be signed into law. 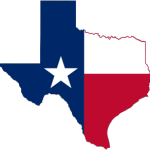 In Texas, House Bill 897 was introduced on February 1, 2013. 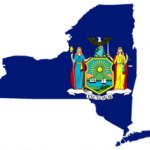 All of the following is based on the current language in the bill, as of February 27, 2013. If passed this bill would be enacted beginning in the fall of 2014. This bill is not just for high school students, but includes seventh and eighth grade as well, reaching into middle school. The training would be in cardiopulmonary resuscitation as well as the use of the automated external defibrillator (AED). The course instructor must be authorized to provide instruction by the American Heart Association, the American Red Cross, or a similar nationally recognized organization. If the act receives a vote of two-thirds of all members elected to each house, it takes effect immediately. If it does not receive the vote necessary for immediate effect, it will take effect on September 1, 2013. So, it’s very exciting times, to be able to see things coming together on the CPR front. 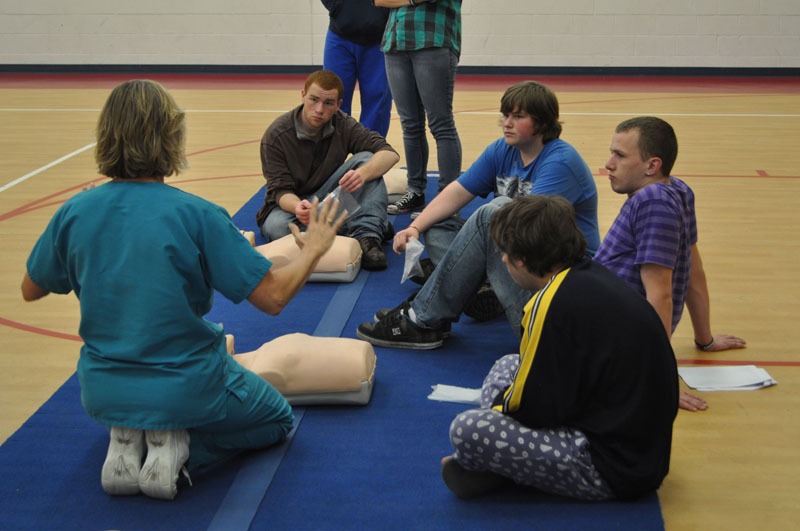 If your school needs CPR certification, take a good look at our program, and we’ll help you get started. 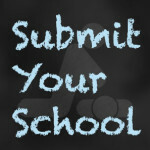 Visit Student CPR today! This will be good for all these high schoolers. They will be leaving the school with first aid and CPR skills. They will be prepared for whatever emergency situation that may arise. 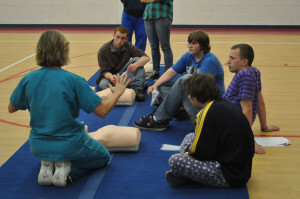 It felt great to hear that CPR programs are now endorsed in high schools. More and more people should be made aware about these training programs so that they may understand the importance and can save human lives.